Carolyn Sue Birdwell, age 78 of Ridgetop, passed away on Thursday, June 21, 2018 at Skyline Madison Campus. 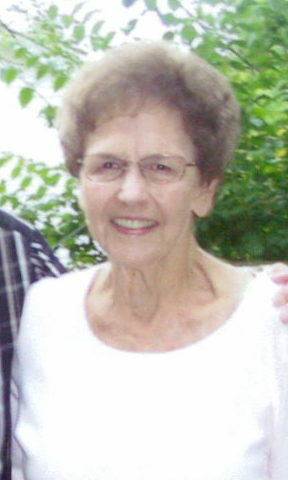 She was born on July 20, 1939 to the late Jimmy and Floree Wheeler. Carolyn was a graduate of White House High School and worked for 43 years as an executive secretary for Life and Casualty. In 1962, Carolyn met the man of her dreams Mr. Roy T. Birdwell from Greenbrier. They dated for three years before they married in 1964 and settled down on four acres in Ridgetop. They would build a house that together they make a home and enjoy together for the next 54 years. The work was divided equally, Roy was in charge of the outside of the house, vehicles and trash, while Carolyn took care of everything else. Carolyn and Roy didn’t travel much because they both enjoyed the comforts of home. However, they enjoyed many summer days on the Lake and Carolyn would start in February working on her tan. She would instruct Roy to maneuver the boat to the perfect angle as she would bask in the summer sun while he enjoyed water skiing. They bowled in a league for a few years but really enjoyed spending time at home with each other and their good friends. Carolyn will forever be remembered as a loving and devoted wife and friend to so many. She is preceded in death by her parents, Jimmy and Floree Wheeler. Carolyn is survived by her husband and best friend, Roy T. Birdwell of 54 years; special friend, Steven Baird; nephews, Tommy and Jimmy Wheeler and a host of friends. A Graveside service was conducted on Saturday morning June 23, 2018 at 10am at Springfield Memorial Gardens. So sorry for your loss Roy! Prayers for you and family. I just read about Carolyn’s obituary today. I remember how happy you two were to find each other. Carolyn was a lovely person. I am so sorry for your loss. Nalan and I loved both of you even though we had to move away for a while and didn’t visit. I also remember your heart of gold for loaning us your car to go on our honeymoon. If you hadn’t we would probably had to walk. We had no car and no money. Will be thinking of you daily.